Coco models one of her many outfits. Coco the Couture Cat, a guest at the upcoming Taste of Annandale, is a star feline fashionista and with 100 or so custom-designed outfits. 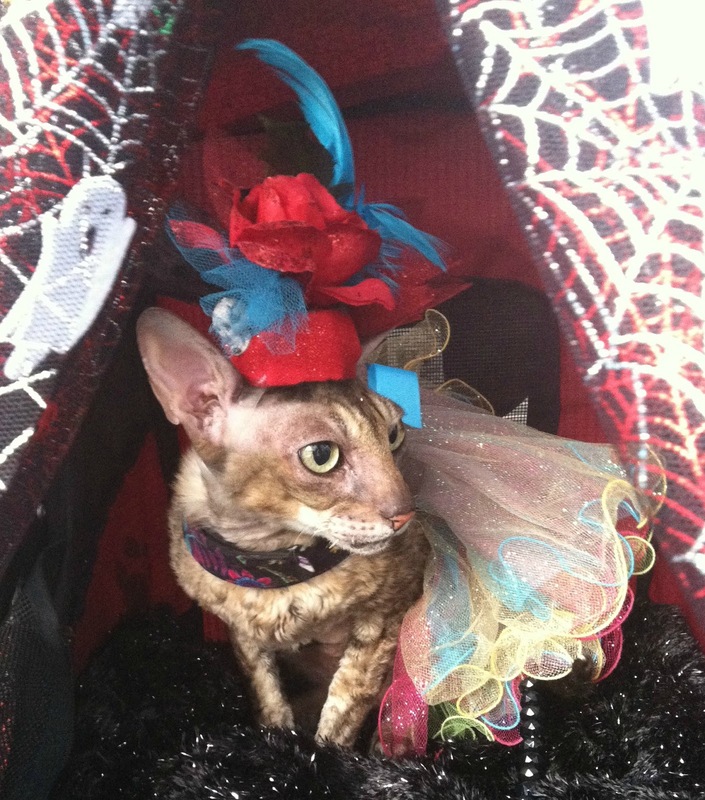 But don’t worry, Coco won’t be competing in the best-dressed pet contest at the Oct. 13 street festival. That’s because her handler, Teri Thorsteinson, will be on the panel of judges. The contest, sponsored by Chico’s Natural Pet Market, will feature three competitions: best-dressed pet, most creatively dressed pet, and the best-dressed duo or group with one or more pets and people. Any kind of pet can participate. The winners will get prizes from Chico’s. 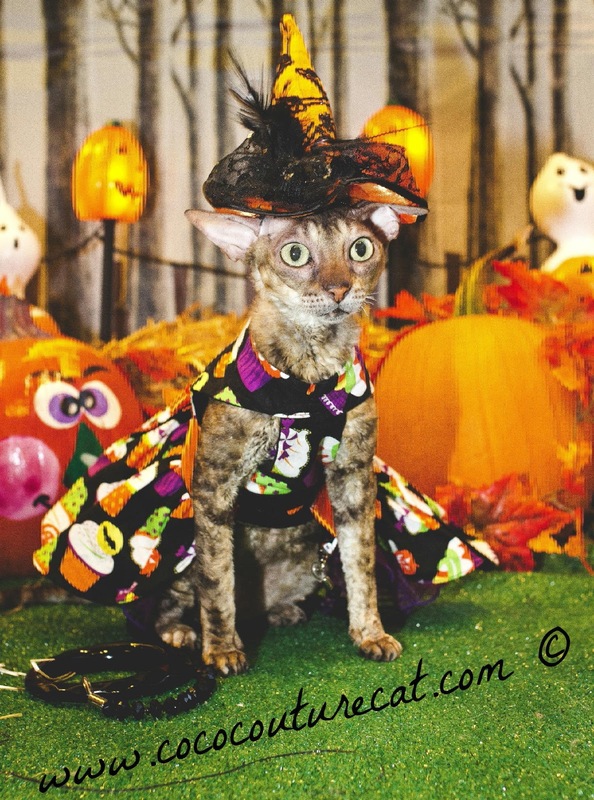 Coco, a 12-year-old Cornish Rex, has many fancy dresses and hats and has appeared in cat shows and cat fashion contests all over the country. “She has more expensive clothes in her closet than I do,” says Thorsteinson. Coco also won the best-dressed pet contest at the Super Pet Expo in Chantilly in 2013 and 2014, has been featured in National Geographic Kids magazine, and was a headliner at the Central Pennsylvania Pet Expo 2014-17. Thorsteinson and Coco take part in many cat events, such as BlogPaws conferences and the Cat Fanciers’ Association’s Cat Ambassador and Pet Me Cat programs. Thorsteinson has bred and exhibited Cornish Rex cats for 22 years, but since 2011 has focused on cat fashion shows as a way to raise funds for homeless cats. She currently has four Cornish Rex cats; writes three cat blogs, including one focusing on Coco; and works at an all-feline veterinary practice in Reston. The Taste of Annandale, are they going to eat the cat?